For years Snow has been running from the queen and the razor-edged knife of the Huntsman, Max. Hiding in her new world, Snow is thrust back into fairytale politics when Max finds her. Torn between fear and love, will Snow surrender her heart to the one man she can’t trust? I was making noise like a drunken elephant. I cringed as my boots squeaked through the mud and other unmentionables, but I didn’t slow my pace any. Thunderous footsteps echoed behind me as Max taunted me. I let out a crack of laughter and shot him the finger. But I kept running. Once I reached the entrance, I shimmied up the rocks, but a vise-like grip grabbed my ankle and pulled me down. We crashed into the sewer, me on top of Max and both of us cursing up a blue streak. “Max! Gross!” I struggled to get out his grip without having to stab him. I was going to have to take a decon bath and get a tetanus shot after all this was done. “Ugh.” As much as I wanted him, I didn’t think sewer monkey love would ever be worth it. I stopped wriggling, and stared at him, those beautiful green eyes looking back at me deep with emotions. I gave him a brilliant smile, straightened my neck, and head-butted him in the nose with my forehead as hard as I could. His shout of pain made me feel a tad guilty for being such a dirty fighter, literally, but I’d given him what he wanted in order to keep him safe—a giant black eye that he could take back to Naomi. His grip relinquished as he continued to groan, and I scrambled off him and out of the dungeon. As I stood above the entrance looking down, Max had one hand over his bloody nose, his eyes swelling and tearing up with both amusement and pain. He shook his head at me as a blood-filled smile quirked his lips. I gave him a wave and left him lying there. His pained laughter followed me out. S.E. 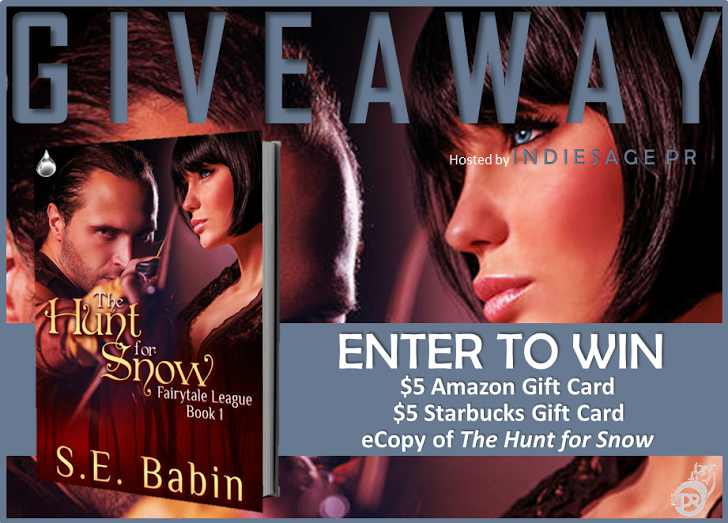 Babin has a passion for writing books with a paranormal twist. Whether it's romance or mystery, she loves turning the norm into the extraordinary. Her early love of reading turned into a curious exploration to see whether or not she could write her own novel. This resulted in her spending way too much time in the library, killing any chance of her becoming a cheerleader or anything even remotely cool. She lives in Texas with her family and a passive aggressive dachshund. Scared of Things that Go Bump in the Night? ?